As more and more of us choose to access the web on our smartphones rather than via laptops or desktop computers, mobile casinos are becoming ever more popular. The type and quality of mobile online casinos can vary considerably, however. As such, it is a very good idea to bear the points discussed below in mind when comparing mobile casinos. Many of these points of consideration apply equally to mobile casinos and to traditional online casinos. Some of them, however, apply only to mobile casinos. Is the casino going to provide you with a fun gameplaying experience? And, crucially, does it have the specific games that you want to play? Some casinos offer better odds than others. Some will make up for less favourable by providing a variety of bonuses (such as deposit multipliers). Go for casinos that look promising in terms of making money, but do not be fooled by an attractive looking bonus into playing a game that has very poor odds or that makes it difficult to withdraw the amount that you have won without plugging further sums into your account. Check that your preferred payment and deposit methods are supported and doublecheck to ensure that the fees charged on deposits and payouts are not too high – and that they do not take the casino too long to process. Lower fees and quicker transaction times can really make a casino stand out from the others. In addition, read a few online reviews to check that the casino in question actually does make withdrawals to your account when you request them. There are a couple of issues that relate specifically to mobile versions of casino sites. They are outlined below. Does the mobile version offer the same options as the desktop version? With some online casinos, the mobile version of the site will provide only a reduced version of the desktop site. It will, perhaps, not offer such a wide range of games, for example. Are there any glitches associated with playing games on your smartphone? Sometimes, online casinos can be slower, or more bug ridden (or both! ), when they are being accessed on a smartphone compared to a desktop computer or laptop. Reading a few online reviews will usually tell you whether or not this is the case with the casino that you want to play at. Many people have reviewed mobile casinos so there are usually plentiful reviews to read (perhaps you have even reviewed mobile casinos yourself). Or, if the casino in question provides a trial version of its site that you can play for free, this can give you a feel for how smooth and snappy the mobile version is. If you do prefer to gamble via your smartphone, one phenomenon that it is very useful to explore is the weird and wonderful world of casino apps. You can download apps that let you trade stocks and shares, play casino games or make deposits and withdrawals via an online payment provider all with a few taps of your touch screen. 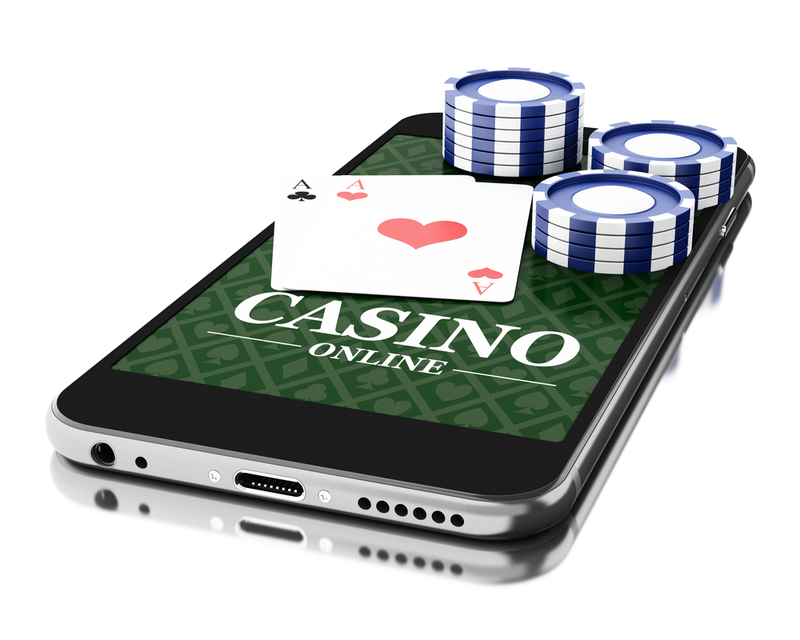 Playing online casino games on your mobile can be fun, simple and financially rewarding. Before jumping right in and starting to gamble, it is highly advisable to compare a few mobile online casinos so that you can find the best one for you. Just make sure to bear the points detailed above in mind as you make that comparison.